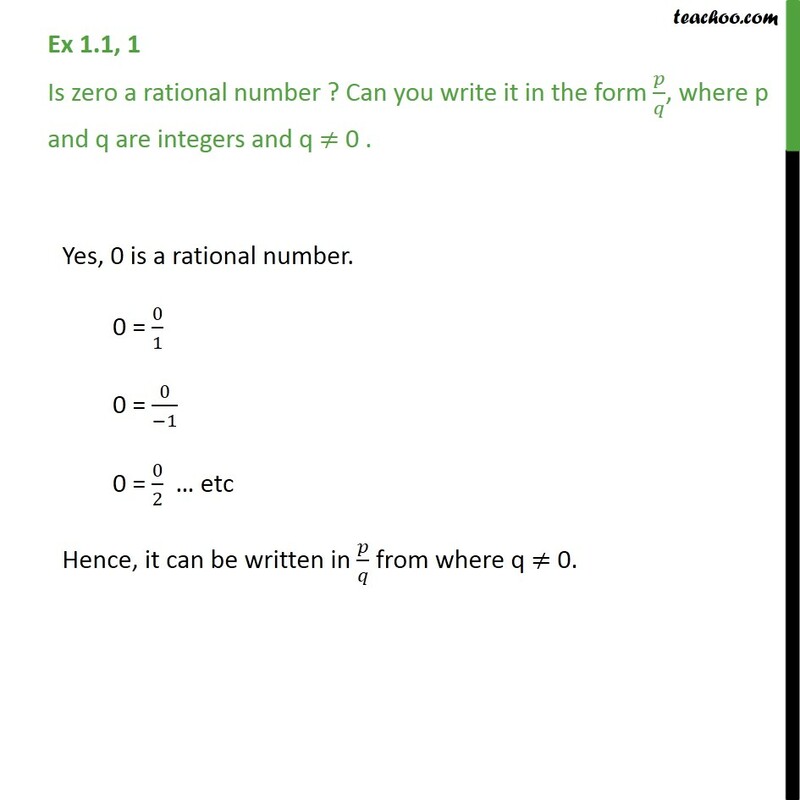 Ex 1.1, 1 Is zero a rational number ? Can you write it in the form 𝑝﷮𝑞﷯, where p and q are integers and q ≠ 0 . Yes, 0 is a rational number. 0 = 0﷮1﷯ 0 = 0﷮−1﷯ 0 = 0﷮2﷯ … etc Hence, it can be written in 𝑝﷮𝑞﷯ from where q ≠ 0.